It is important to foster an awareness of the dangers of mosquito bites and the simple preventative safety measures that can be taken which include covering up in long loose-fitting light coloured clothing, using insect repellent and stopping mosquitoes from breeding around your home. Mosquitoes can breed in many types of water, some breed in backyards/ containers such as pools, ponds, rubbish, water tanks, pot plant drip trays, tyres, watering cans, wheelbarrows, buckets as well as in roof gutters. It is important to check your backyard and empty out containers regularly, for rain water tank advice please read the information sheet. During summer, with optimal conditions it can take as little as seven days for an egg to hatch into a flying adult mosquito which could potentially pass on diseases including Ross River virus and Barmah Forest virus, even the family pet is at risk of contracting dog heartworm from a parasitic worm passed on by mosquitoes. Fight the Bite is an initiative of the Government of South Australia. This artwork has been reproduced with permission from SA Health. In Western Australia this program is sponsored by the WA Department of Health. Development projects are often built in close proximity to bushlands, wetlands and other water courses, which may be likely mosquito breeding areas. The City is involved in mosquito research and management on public land but residents are responsible for management on their own property. Containers like wheel barrows, wading pools, bird baths and tyres. Turn over canoes/small boats or cover with tarp (ensure tarp doesn't sag and collect water). Ensure fly screens are fitted and well maintained on doors and windows. Keep drains and gutters clean so water will drain. Aerate ornamental pools with a fountain or stock them with fish. Use yellow light bulbs for outdoor lighting during times of high mosquito numbers. Cover up by wearing light coloured long sleeve shirts and long pants that are loose fitting. Apply personal insect repellent (read directions for safe application). 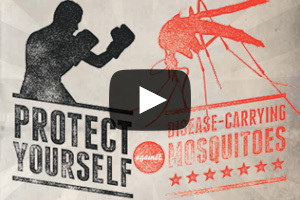 Avoid outdoor exposure to mosquitoes from dusk and the first few hours after dark. European wasps are a significant pest, they attack bee hives damage fruit crops and can inflict serious and life threatening stings. Sightings of European wasps should be reported immediately to the Department of Agriculture and Food on 1800 084 881. Do not try to remove or treat European wasp nests yourself. European wasps can commonly be confused with Paper wasps, please refer to this identification guide before you call. Further information is available on the Department of Primary Industries and Regional Development website : https://www.agric.wa.gov.au/biosecurity-biosecurity-quarantineeuropean-wasp-declared-pest. European Wasps hold their legs close to their body when flying. They fly quickly and do not hover. Their nests are rarely seen and are usually below the ground. Nests are round or football shaped, with an outer covering of insulation. They are large and in summer grow to be the size of a basketball or bigger. The nest will have a busy entrance hole with many wasps entering and exiting per minute. 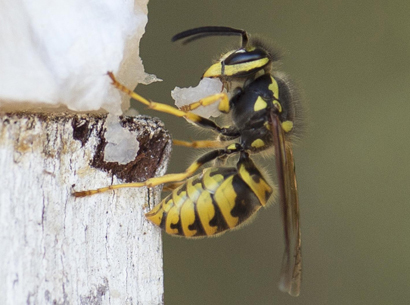 European wasps will often be found around pet foods, food, cans of drink, rubbish, meat, fish etc. European wasps will sting repeatedly and will attack humans. It is hazardous to approach the nest, so do not attempt to treat the nest yourself. Instead, contact Department of Primary Industries and Regional Development on (08) 9368 3333, http://www.dpird.wa.gov.au/ or a licensed pest removalist. The stable fly (Stomoxys calcitrans), also sometimes called the biting fly, is a pest insect, mainly biting horses and cattle, but also humans, dogs and other animals. These flies commonly breed in manure and rotting vegetable matter such as lawn clippings or soiled straw. It is the landowners responsibility to ensure adequate control measures are in place to prevent fly breeding. 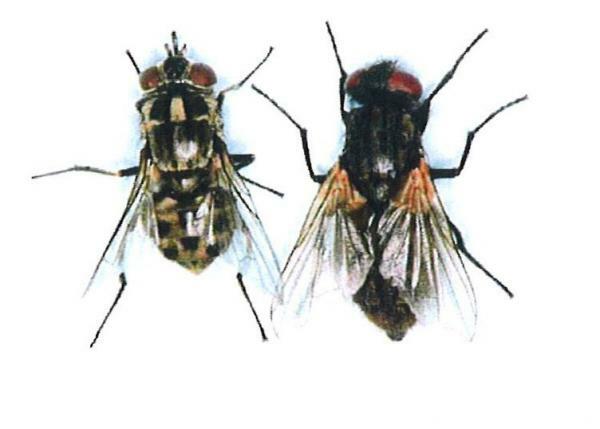 Residents are encouraged to ensure that fly breeding does not occur on their properties and are urged to report excessive numbers of stable flies, or their breeding, to the Department of Agriculture and Food Western Australia on 1800 084 881 or the City's Health Services on 9394 5000. For more information about stable flies, visit the Stable Fly Action Group (SFAG) or the Department of Agriculture. How do I know if I have Stable Flies? Stable flies are similar in size and appearance to the common house fly, but the stable fly has a prominent biting mouthpart. Here, the stable fly is shown on the left and the common house fly on the right. Stable flies are persistent biters, feeding on animals several times a day, preferring to bite cattle and horses, but they also attack humans, dogs, pigs, new born lambs and other animals.